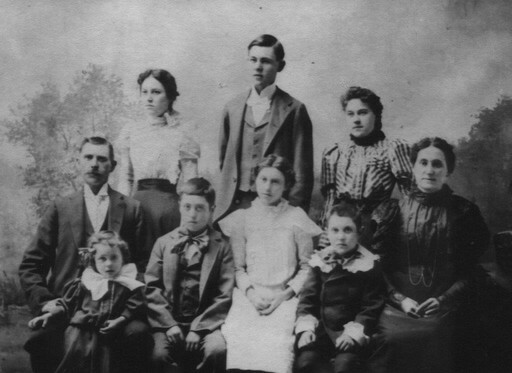 Jesse James Adkins and Mary Alice McClure's family. We're constantly updating and expanding our family tree. We make corrections and add data as it is verified. Your submissions are always welcome. The Adkins Family Organization Click for more information. Adkins Family DNA Project Adkins Surname Project @ Family Tree DNA. If your branch of the family has not tested, please contact us for information and assistance. Gravestone Project Volunteers needed! We placed a marker on Elizabeth Crawley Adkins Bushnell's grave on 11 November 2017 in Luper Cemetery, Lane County, Oregon. Please contact us for information on placing more markers. Reunion We plan to resume our family reunion in 2020. Volunteers are needed to plan, organize and manage the reunion. Please contact us with any special requests or suggestions. Copyright © 2000-2019 Adkins Family Organization: The Descendants of James Adkins and Lucy Morgan®.